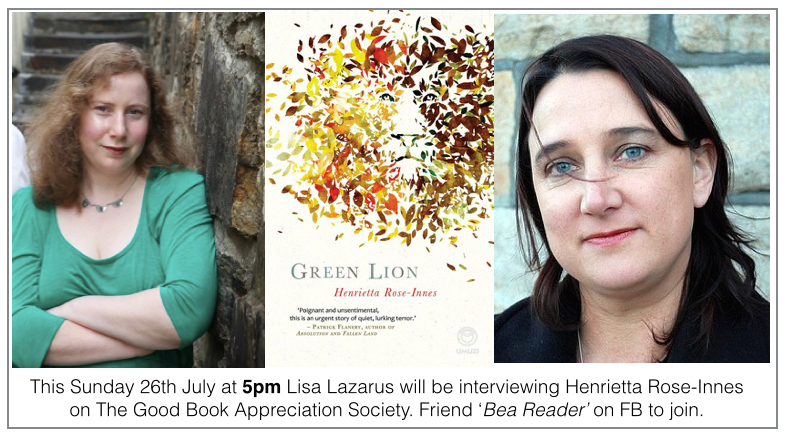 This Sunday 26 July I have the pleasure of being grilled by friend and author Lisa Lazarus about my novel Green Lion. (5pm,South African time.) Join us on The Good Book Appreciation Facebook group if you’d like to listen and join in. It’s a closed group, so you need to friend Bea Reader on FB if you want to join – or let me know on my FB page. The GBAS is an excellent and very active group for readers to discuss books, and well worth joining.